This engraved dolls house brass house sign is 25mm wide, 15mm high and 0.5mm thick. 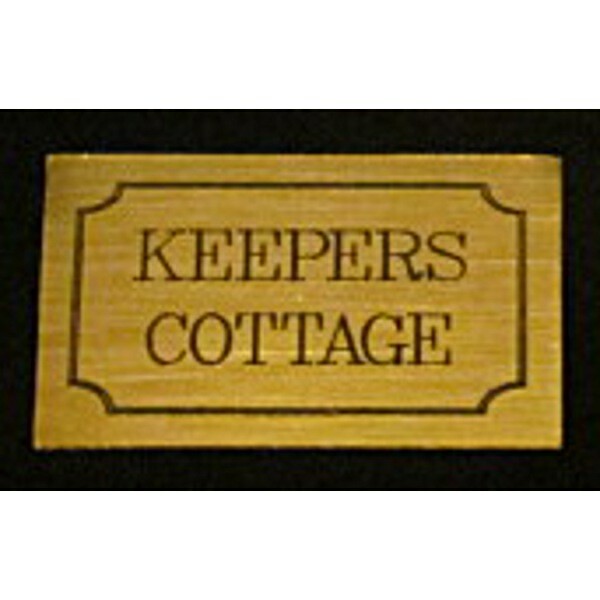 It is engraved with your choice of house name, and has a rectangular border if required. Up to 10 characters can be engraved on both the top and bottom line, and the text may be infilled in black, as shown on the image. The engraved dolls house brass house sign has free postage. This engraved one twelfth scale brass house sign is also available full size!